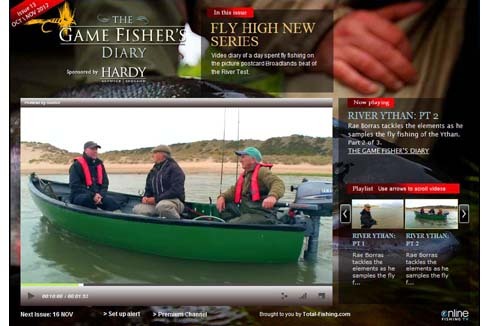 The latest issue of Game Fisher’s Diary includes a brand new episode of the video magazine’s headline series, in which Rae Borras samples the fly fishing of the Ythan, a picture postcard Scottish water that flows into the North Sea near Newborough, 10 miles north of Aberdeen. Picture postcard that is, when the sun’s out. However, he arrives just as a mighty Atlantic storm descends. 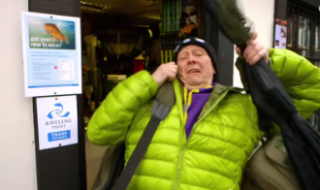 In between attempts at fly fishing, we meet up with Chris Hyde from Mohn Aqua, a company that’s developed a clever acoustic deterrent system to scare seals away from fishing areas. Rae also explores the local historical sites, but he can’t go long without this fly rod in hand, and with a little help from local ghillie George Moody, he captures one of the water’s famed sea trout. It’s completely FREE TO VIEW, split into three parts, in Issue 13 of the Game Fisher’s Diary – just click on the link below to get going and use the arrows to scroll through the playlist.